In this installment of the photographer interview series we're talking with nature and wildlife photographer, Martin Bailey. I've had the pleasure of being on the TWiP (This Week in Photo) podcast with Martin a few times and have become good friends with him. 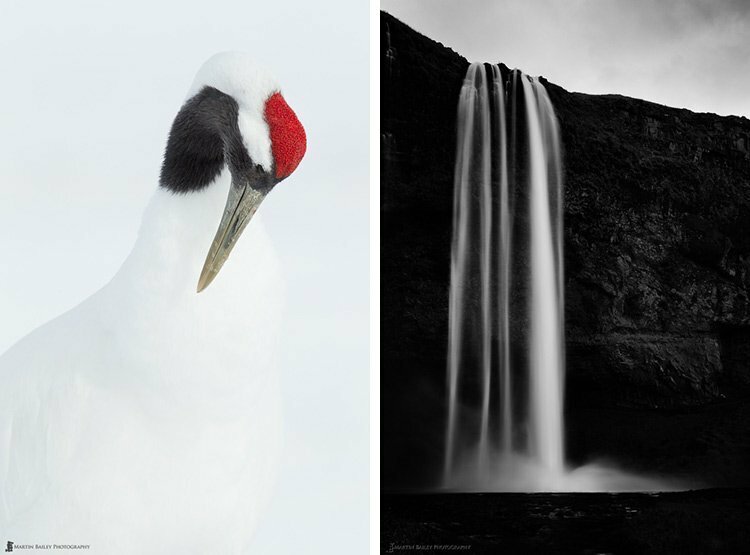 He's a gentleman and is passionate about what he does, and the wildlife he photographs. I'm sure you enjoy his insights into his photography world. You can see a previous video interview with Martin where he gives us some tips for making better wildlife photos. 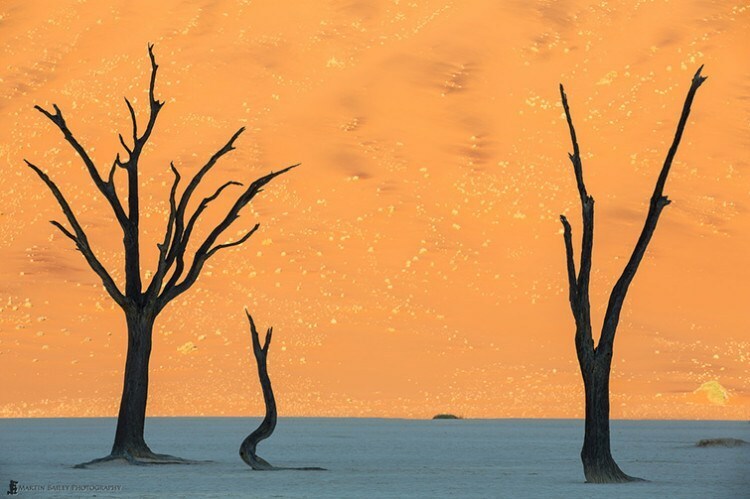 Martin Bailey is a British nature and wildlife photographer based in Tokyo Japan. 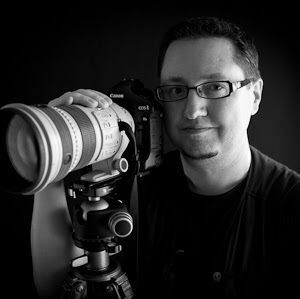 Fueled by his passion for nature and travel, and a tireless desire to share his knowledge and artistic vision, Martin is a popular international photo tour and workshops leader, helping photographers from around the world to see and capture the wonders of this awesome planet we call home. Get in closer, either physically, or with a longer lens. I was deeply moved by the work and words of a Japanese nature and wildlife photographer name Michio Hoshino, who was sadly killed in a bear attach in 1996. His was work beautiful, but more than that, it was something he wrote while in school that remains one of my favorite quotes. He said “Asaki kawa wo fukaku watare” which translates as “Cross the shallow river deeply”. This is possibly his version of a similar proverb which means to proceed with caution, even when the task at hand seems quite easy, but I don't think that's what Hoshino meant by this. I think he meant that we should savor and revel in every experience we have, and give everything we've got in the things we choose to do. This, at least, is my take on it, and that's how I try to live my life. I foresaw this happening, so I'm not sure it's an out and out failure, but I was able to confirm my fears, so I learned a lot from the experience. A few years ago I was setting up a worldwide tour doing workflow workshops in many major cities, but one of the US venues was dragging their feet as we tried to lock in on dates, and the result is that I did a Webinar with two very prominent companies in which I was hoping to get people signed up for the workshops. Because we didn't have any dates set though, all I could do was have people register their interest, not actually pay a deposit.The result is that a week or so later when I was able to announce dates and start taking firm bookings only around 10% of the people that had registered a firm interest actually booked. If I'd had this ready on the day of the Webinar I'm pretty sure I would have gotten many more bookings right there and then. The lesson learned (or confirmed) was that you have to force a commitment while people are excited about your product or service. If you let that excitement die down before asking for commitment, a large percentage of people will not follow through. I'm proud of the fact that I have released my Photography Podcast almost every week for coming up to nine years now. The Podcast has enabled me to reach so many people and do so much with my photography. I feel very fortunate to have been at the right place at the right time, with the skills necessary (back then) to get started, and having the staying power to continue producing what I consider to be quality content. OK, so I'm really fighting the urge to say “my brain”, but if I have to select one piece of gear, it would probably be my 70-200mm lens. I make use of a full range of lenses taking me from 14mm to 560mm, but if I had to work with just one lens, it would be the 70-200mm, because I can do so much with this workhorse. Of course, that doesn't help me at all without a camera body, but the bodies come and go, and I use a different body depending on the type of photography I'm doing, so this lens is probably it. This is so difficult to answer. I am fortunate to have traveled to some amazing places, and have some of the best winter wildlife right on my doorstep here in Japan. 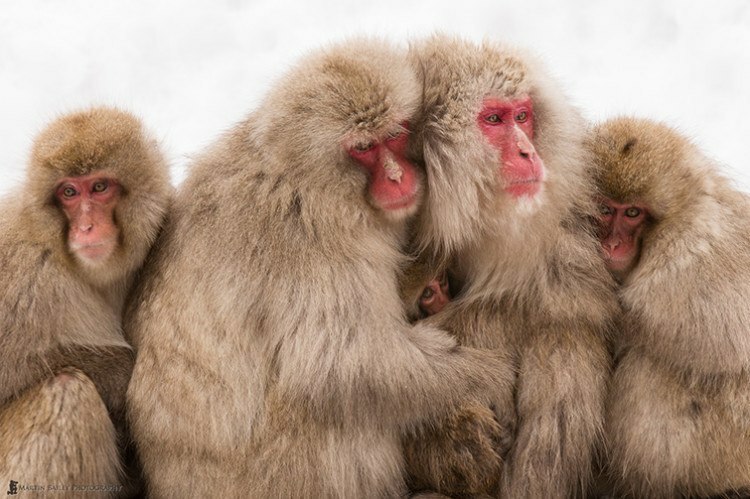 It was a tossup between a few of my favorites, but probably my “Five Monkeys” photograph, of the adorable Snow Monkeys in a huddle comes out on top. I like the representation of the family unit, and how they are all looking in various directions, with just one looking towards the camera. The sores on their noses is a testament to the harshness of the winter that these monkeys face daily, although this troop is lucky to have formed around a hot spring bath that they now call home. I visit this location twice, for three days each visit, with my tour group each year now, and cannot get enough of these amazing animals. Although I have many favourite photographers and a plethora of images that I'd like to put forward, probably the image that comes to mind the most when I'm asked this questions is Nick Brandt's “Elephant Drinking“. Brandt has a way of capturing the calm, serene moments when animals seem at their happiest and sometimes most vulnerable, and he does this so beautifully. Get in closer, either physically, or with a longer lens. When we view a scene, our brain automatically zooms in on many areas of detail, but then we go ahead and photograph the entire scene, being fooled into thinking that it's the whole that is drawing our attention. By all means, shoot the beautiful sweeping vista too, but don't forget to get out your long lens and explore the details. It's often those details that we are really drawn to. Nope! Everything I've done has helped to form who I am at this point, even the things that didn't go well, or were just plain stupid. No regrets, only lessons learned. I hope you're enjoying this series of interviews with photographers. More will be coming soon, keep reading and stay with us.